Unfinished basements tend to have a bad reputation of being dark, damp and slightly musty. Because of this, a common misconception is that it is normal for basements to be damp and musty. 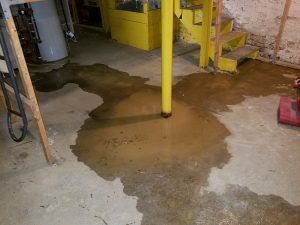 Homeowners often justify it with, “you know, it’s a basement.” Yes, basements are often vulnerable to dampness and moisture buildup, more so than most other areas of your New Jersey home. However, NJ homeowners can take steps to control moisture buildup, minimize dampness and prevent that musty odor (usually caused by mold growth). Don’t just accept that your basement has moisture problems. Whether it is humidity issues, seepage, leaks or flooding, there are plenty of ways to solve the moisture problems plaguing your basement. Keeping your basement dry is the key to preserving your home. By keeping water out of your basement, you can prevent wide variety of property damage and avoid various maintenance problems that can be caused by moisture buildup (i.e. : water damage and mold growth). As a homeowner, you have the power to prevent water damage and prevent mold growth in your basement by keeping it dry. Do not neglect your foundation walls. A compromised foundation can lead to a wide variety of problems throughout the building structure, like water intrusion. In order to keep your basement dry, you should conduct routine foundation maintenance checks (conducted at least twice a year). Signs of foundation damage or other problems need to be properly addressed immediately. Even small cracks can let in unwanted water. Larger cracks can quickly turn into a huge disaster. Your gutters and downspouts play a critical role in protecting your New Jersey property from water intrusion, water damage and indoor mold problems. Their job is to direct rain water down and away from the home. Your gutters need to be clean and free of debris or other obstructions in order to effectively collect and direct water. Water overflow from clogged or blocked gutters will run down the side of your home and pool at your foundation walls, increasing the risk of seepage and water intrusion into your basement. Downspouts need to extend a few feet out from your foundation walls to ensure that water from your gutters empty out at a safe distance from your property. If your downspouts are not sufficient in length, rainwater could end up emptying too close to your foundation walls and leave them vulnerable to water intrusion. The ground around your property should slope down and away from the property so that water is directed away from your exterior walls. Improper grading can lead to water buildup against your foundation walls and allow water seepage into your basement. Take a look at the first four feet out from the house. You want the level to drop off at least six inches within that four feet. NJ homeowners should pay close attention when it rains to identify any pooling caused by improper grading. If you suspect that the grading around your home is causing moisture problems in your basement, you will need to take action to regrade the surrounding ground. Depending on certain conditions, some times seepage and water intrusion through your foundation walls is inevitable. If your basement suffers from leaky foundation walls, you might need to counter the leaky walls with a sump pump and/or drainage system. A properly installed drainage system and/or sump pump will help to collect and divert basement water out and away from your home. Indoor humidity is one of the easiest issues to overlook. Elevated humidity can lead to basement mold growth. When it comes to basements, elevated humidity is often caused by a combination of issues. The introduction of moisture into the environment from other underlying water issues is a common culprit behind elevated humidity. There is typically limited air circulation in basements, leaving water vapors in the humid air with no where to go. Overtime, this unaddressed moisture will collect within porous building materials and leave you with a widespread mold problem. 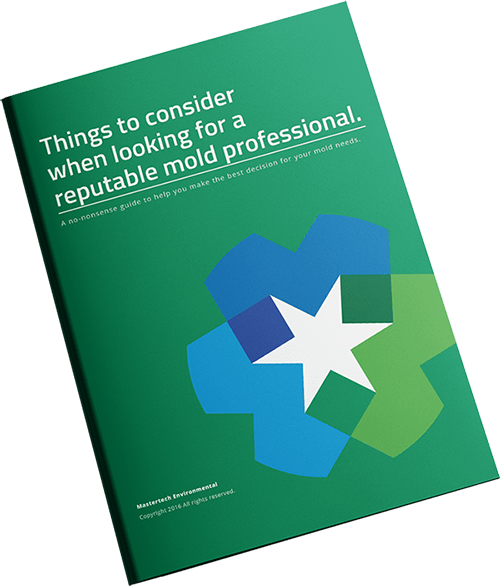 To prevent mold growth, relative humidity should stay at 50% or less. Homeowners should immediately address any water issues before they have the time to worsen and affect your indoor humidity levels. Once you address all your underlying water issues and get your humidity levels under control, a properly rated dehumidifier can help maintain humidity levels and keep it at 50% or less. Checking for leaks regularly will help you catch a leak before it has the chance to do too much damage. Set a side some time every few months to do a quick check for water leaks. Check the ceiling for leaks from the levels above, check HVAC components for leaks or condensation issues and check plumbing systems for signs of leaks, damage or condensation. Leaks and other maintenance concerns need to be properly addressed immediately to prevent additional damage and costlier repairs. If you suspect that a wet basement or persistence water problems in your New Jersey basement has left you with mold development, contact a basement mold remediation professional near you to assess the environment and provide you with an appropriate solution.